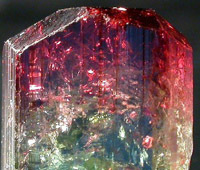 The word tourmaline takes its origins from the Singhalese phrase ‘tura mali,’ meaning ‘stone mixed with vibrant colours’. From magenta to teal-blue, meadow-green to vibrant yellow, and even black, this powerful healing stone is known to change its coloor in different forms of light. Some say that there are no two tourmalines with the exact same coloor, and for this reason it has been historically revered as a ‘magic’ stone capable of protecting whoever wore it. 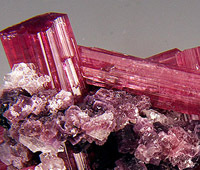 The tourmaline gemstone has the uncanny ability to become its own source of electric charge, as it is both pyroelectric, as well as piezoelectric. When the gem is put under greater amounts of pressure or when it is dramatically heated or cooled, it creates an electrical charge capable of emitting infrared waves and negative ions. Tourmaline gemstone is a semi-precious mineral stone well-known for its incredible ability to aid in the detoxification process of the human body. It is one of only a handful of minerals that have the ability to emit negative ions and far-infrared rays. Tourmaline gemstone is known to aid in relieving stress, increase mental alertness, improve circulation and strengthen the immune system. It is a powerful agent for reducing toxin-related ailments. It produces a detoxifying, cleansing effect on the nervous system, as well as the organs and tissues of the body. It has been shown as a useful aid for improving circulation, reducing stress, improving brain alertness and activating the immune system. This colourful gemstone has a highly stabilizing effect on our nerves, due to its capacity to generate its own heat. This ability to self-produce an electrical change makes it one of the only minerals that can emit far infrared heat, as well as negative ions. 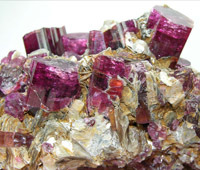 Many professional athletes have reported great performance improvements after using therapeutic gemstones, such as tourmaline. Swedish Olympic world-swimming champion, Glen Christiansen, was reported as having stated that, "The green tourmaline necklace gives me a lot of strength, and allows me to recover faster from hard workouts. In Pakistan, it is found in Northern Areas.